Cheap Weekend Fun for March 26-27, 2015 in Boston! Happy last weekend of March! I didn’t really find too much fun and different events and festivals for this weekend in Boston, but it’s probably because it’s Easter weekend. It is the first weekend of the Big Apple Circus at Boston City Hall Plaza and the circus will be here for a little while if you can’t make it this weekend! 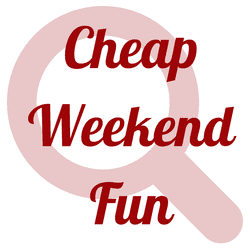 Please let me know if there’s any fun and cheap things to do this weekend in the comments below! Bass Pro Shops Easter Event: March 19-27, 2016 at Bass Pro Shops in Foxboro. Enjoy a free Easter event with crafts and a free picture with the Easter Bunny!